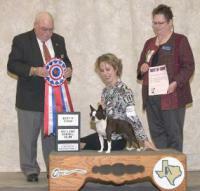 "Where Integrity & Excellence is our Breeding Standard"
T~Bo Kennels, Reg, established in 1995 as a small hobby kennel with specific interest of breeding/showing BostonTerriers. T-Bo Boston's, has an extremely high standard for our breeding program, while there is no perfect dog, we breed very selectively to meet the BTCA Standard not only for the breeding program but for the show ring!! 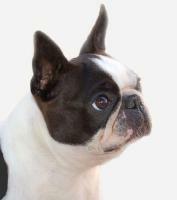 The Boston Terrier Standard was developed to give breeders a description of the ideal Boston. 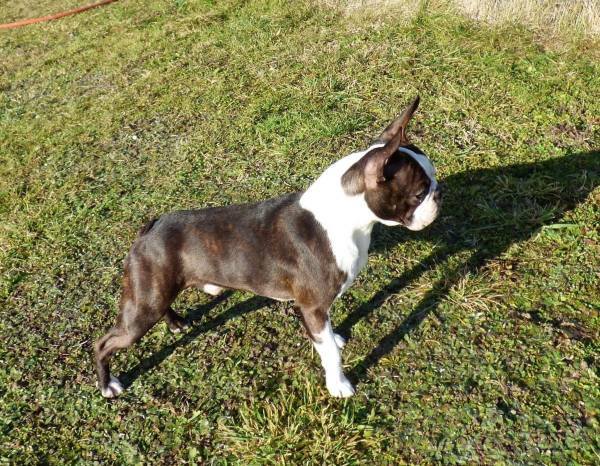 By breeding to the standard, we are ensuring that future generations will continue to look like Boston Terriers, which makes themstand apart. 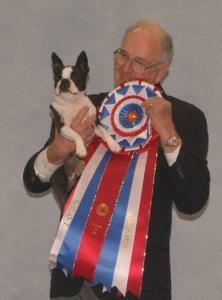 We have currently bred over 50 champions that are and have been owned/co-owned and by otherowners-of which several are multiple All Breed Best in Show,Breed, Groups and Best in Specialty winners in both the United States and over in Europe. 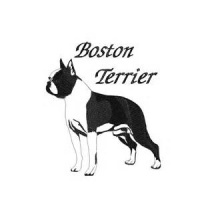 T~Bo's goal is to continually strive for excellence in heath by health testing, conformation, and for temperament of which we feel is all very important to our breed the Boston Terrier. 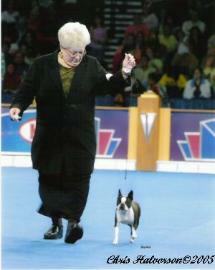 Our dogs are all health tested for the following: OFA Patella's, BAER, CERF, JC DNA and I have started testing for DM. "Breeding dogs is a right not a privilege"
this great dance of life. The song playing is the purpose inside of you... Let that melody take you and inspire you with eachand every step."" Be yourself, believe in yourself, and anything is achievable."